Mahama Jotirao Phule, the father of Indian Social Revolution,was a great thinker and social revolutionary leader of Modern India. Mahatma Gandhi acknowledged this great soul as 'A real Mahatma ' .His work include women education,agriculture reforms, abolishment of untouchability and eradication of all types of social inequality.There is a biography on the life critics, but there was no novel based on his life. 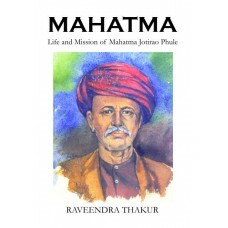 This book gives an insight into the work of the Mahatma and the sacrifices that he did to pursue his mission.